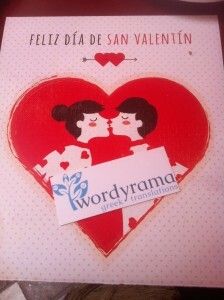 BlogHome » Blog » A Translator and A Certain Translation Agency: a love affair that went from sweet to sour! A Translator and A Certain Translation Agency: a love affair that went from sweet to sour! My most beloved client! A client with who I have been working together for over two years! Large projects, topics right up my street (you know, those that you simply want to keep going even if you have translated the amount of words per day), payment right on time! It was pure two-way love! The PMs working for this agency were right at the top of my Christmas gift list, sometimes we chatted on Skype, I even interviewed one for my blog! As time went by, I stated to notice that the number of projects they were sending me was starting to decrease. In the beginning, I thought it was just in my head and continued working on projects sent to me by other clients. Six months passed, and I was sure it was not in my head. Occasionally, they would send me small proofreading projects (a sign that they had more Greek translators than one). They did remember me, though, quite frequently, when they needed a freebie, or to ask my opinion (free of charge) about a translation done by someone else! I knew for a fact that they were moving towards other translators, as these translators were personal friends of mine and their agency name dropped in a discussion one day. So, when they used the excuse that they do not get many translation projects into Greek, I knew straight away that something fishy was going on. The PMs continued to ask my availability, only to give the projects to other Greek translators in the end. So, basically, they tempting me with work that I was never receiving at the end. During my work-and-travel experiment, I was passing through the city where they have their headquarters. I notified them well in advance that I would be in town and if we could all get together for a drink. After all, it is always nice for me to meet my clients in person instead of thinking of them as faceless people at the other side of an email. They were polite enough to tell me to email them again when I will be actually there, and so I did. They replied a week later, apologizing for not being able to meeting me. What they did not know was that I was still in town, however, when I told them, they disappeared again. I emailed the head of the recruiting staff, explaining the situation and asking whether we could have a chat about the whole issue and see how we could continue working together. This person never replied to my email or the reminder of the email in question. Silence seems to be worn as armor. Armor because of indifference? Armor because they do not want to have this type of conversation? Who knows. I keep hearing that clients remain loyal to experienced translators and are not tempted by lower prices. I dare have a different opinion. There was never a project gone bad, or a disagreement of any sort with this client. What I think is happening, though, is that they are moving to cheaper translators and they are turning into Capita. Yes, Capita! Even today, they got in touch with me about a proofreading project that would take me only 15 minutes, and when I told them my minimum proofreading fee will apply, they told me they cannot afford me. What they really meant was that they wanted me to do it for free! Note-to-self: if they look after their business and take care their profits, so am I! Thank you for your comment and nice words. I was very disappointed with the course of the story, and till today I question why this relationship turned out this way. Of course, I understand that they are very busy, as this translation agency has becoming bigger and bigger in terms of expansion, still I did expect a nice email from them, even if it was a decline to my invitation. Oh, I guess these things happen, it is just a shame, really! Again, thank you for the comment! Have a great day!